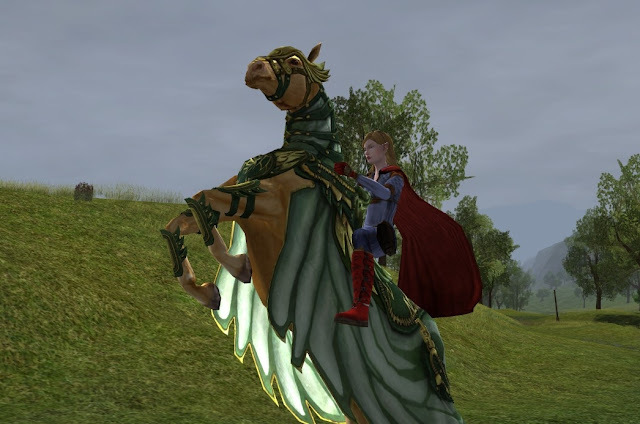 To shift focus away at the moment, I will introduce to you, the Steed of the Winged Herald (aka Winged Steed). (1) When signed into my.lotro.com, go to the header tab “Signup Rewards” (see picture above). (2) Enter email addresses of friends that will help you out (it would be nice to discuss it beforehand with your friends to understand what needs to happen). Finish reading this post before you freak out about having to enter friends’ addresses. (3) These 5 friends with email addresses will need to receive the automated lotro email saying that you referred them, click on the link to go to lotro signup, then enter newly created usernames for themselves. I have been told by friends that the friend signup is super easy and takes just a moment. 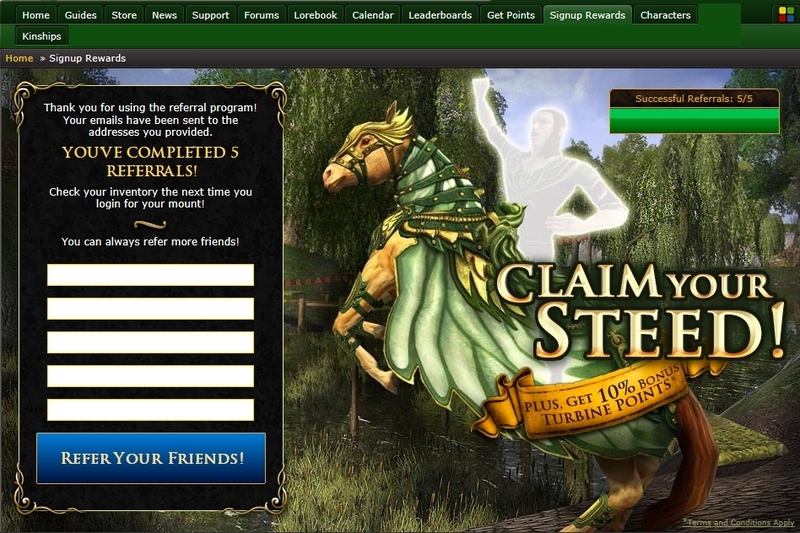 Once the friend has a username, the referral is considered a “success” for you and counts toward one of your five. The friend does not have to continue to download lotro or install anything… yeah, why wouldn’t they? None of my business… all I needed was the less than five minute assistance and I am on my merry way. 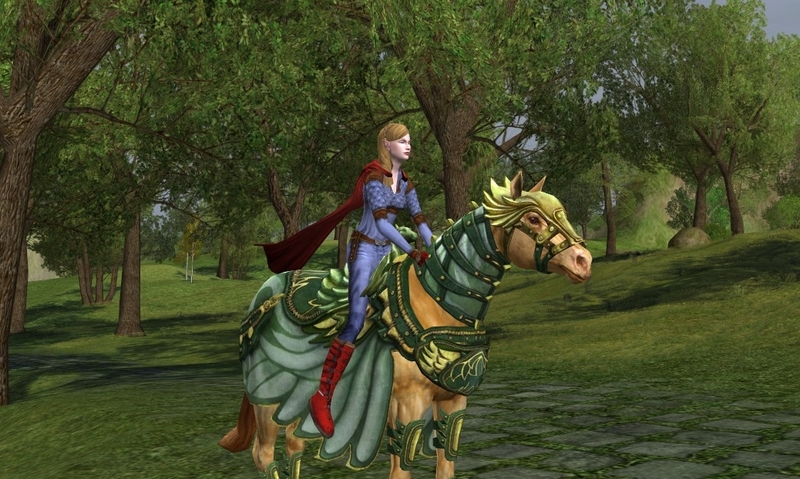 I also saw this steed recently on another blog, The Elven Tailor (http://theelventailor.blogspot.com/2012/06/call-to-war.html) in which Cat designed a gorgeous matching outfit! She has a way of making characters look like superheroes (at least in my eyes), which obviously rates well with me. :D Check her out! 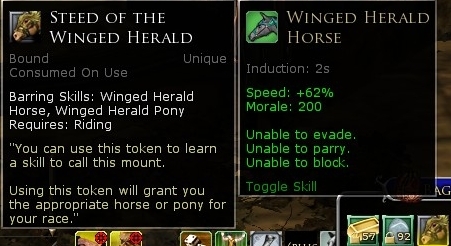 Don't forget the winged pony and their matching hobbit lass! Oh! I forgot to mention that it was account wide... (heading back up to retro the post).